KNOCKADERRY RESERVOIR: 3 GARGANEY (male & 2 females) still present. KNOCKADERRY RESERVOIR: 2 GARGANEY (male & female). 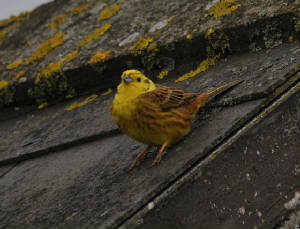 DRUM HILLS: Woodcock & Grasshopper Warbler nr Carronadavderg. 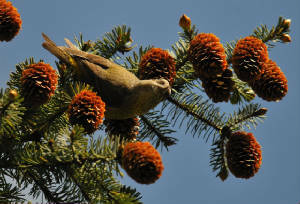 KNOCKMEALDOWN MOUNTAINS: 3 Cuckoos & 20+ Crossbills. KNOCKADERRY RESERVOIR: 3 GARGANEY (male & 2 females) on small lake (video). 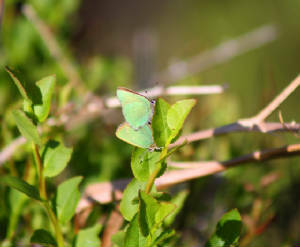 MONAVULLAGH MOUNTAINS: Cuckoo, Spotted Flycatcher & 8 Green Hairstreak butterflies at Coumaraglinmountain, 2 Green Hairstreak at Ballintlea. 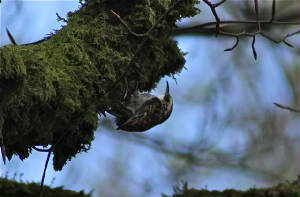 BALLYSCANLAN / CARRICKAVRANTRY: 2 Long-eared Owls. 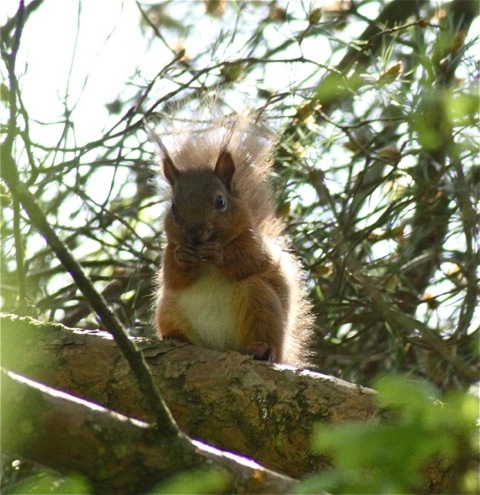 DRUM HILLS: Long-eared Owl & Grasshopper Warbler nr Reamanagh East, Woodcocks nr Reamanagh East & nr Garranagree. 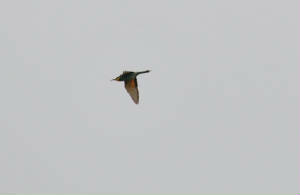 RAM HEAD / ARDMORE: BEE-EATER at coastguard station (2nd county record) - same location as June 2011. DRUM HILLS: Woodcock nr Scordaun & Grasshopper Warbler nr Garrynagree. 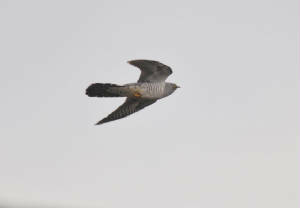 TRAMORE BACKSTRAND: 6+ Cuckoos at Lisselan. 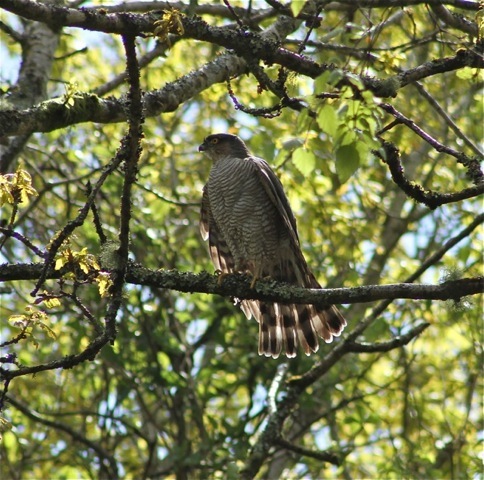 KNOCKMEALDOWN MOUNTAINS: 6 Cuckoos (female & 5 males). 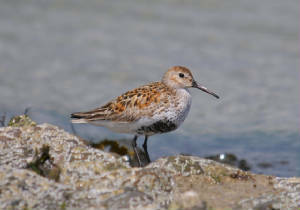 Nr CALISO BAY: Turtle Dove (video) & Spotted Flycatcher. RAM HEAD: Puffin, Short-eared Owl & 2 Tree Sparrows. 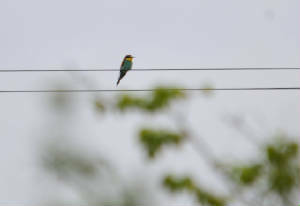 DRUM HILLS: Grasshopper Warbler singing near Barranastook, Spotted Flycatcher near Toor Cross-roads. 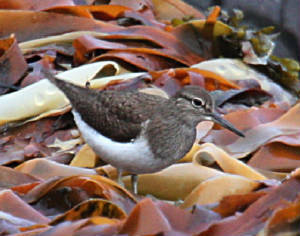 CLONEA STRAND: Common Sandpiper at Ballinard. 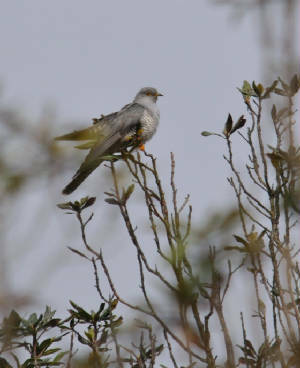 TRAMORE BACKSTRAND: 6 Cuckoos at Lisselan. 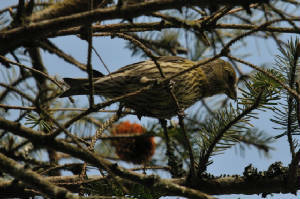 CARRIGNAGOUR (nr Lismore): 4 Crossbills. 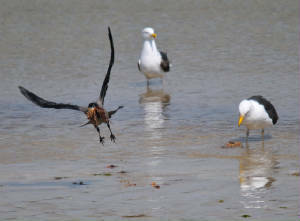 EAST WATERFORD: Pair of Buzzards. 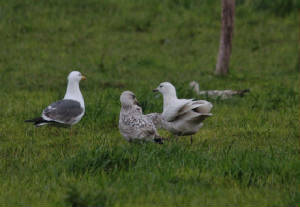 ARDMORE: Iceland Gull & 23 Whimbrel at Curragh. 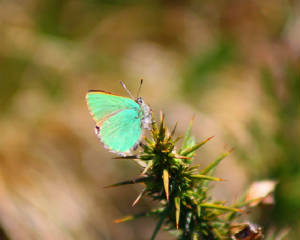 MONAVULLAGH MOUNTAINS: 3 Green Hairstreak butterflies. 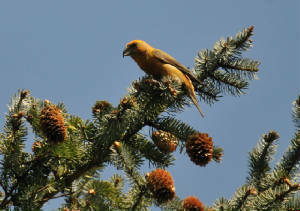 COLLIGAN WOOD: 35 Crossbills flew NW over Colliganmountain. 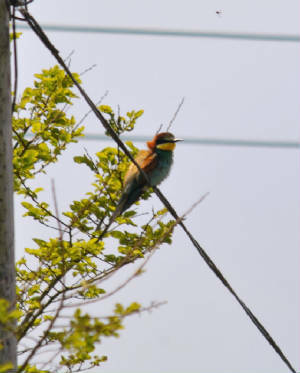 BALLYEELINAN (nr Ballyquin): Spotted Flycatcher. DUNGARVAN: Brent Goose at the Cunnigar. 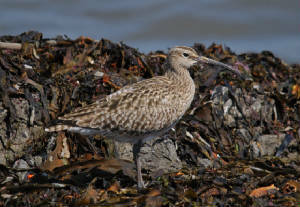 CLONEA STRAND: 20 Whimbrel at Balinclamper. BROWNSTOWN HEAD: 110 Whimbrel, White Wagtail, 7 Wheatears & a Tree Sparrow. 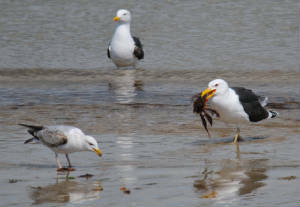 WOODSTOWN: Carrion/Hooded Crow hybrid at N end of beach, Reed Warbler singing & Water Rail at Woodstown Bog. BROWNSTOWN HEAD: 18 adult Pomarine Skuas W (13 adults E), Great Skua E, 272 Manx Shearwaters E (174 W) & 5 Swifts W (seawatch 17:00-19:00); 1st/2nd-winter Glaucous Gull W & 58 Whimbrel. BROWNSTOWN HEAD: 198 Common Scoter E (40 W) & 4 Great Northern Divers W (2 E) (seawatch 09:35-10:35); 70 Whimbrel & 2 Tree Sparrows. 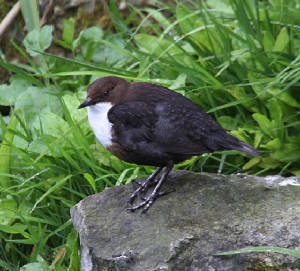 BALLYVOYLE: Dipper at the bridge. RAM HEAD: 2 Great Skuas E, 27 Common Scoter & 120 Manx Shearwaters W.
ARDMORE: 1st/2nd-winter Iceland Gull and 1st-summer male Common Scoter at Curragh. COMERAGH MOUNTAINS: Dipper below Crotty's. CLONEA STRAND: 6 Common Terns (1st of year), 4 Great Northern Divers, 8 Common Scoter (flew SW), 10 Whimbrel & 5 Common Seals off Ballinclamper. MONEYGORM (nr Lismore): Spotted Flycatcher. Nr WHITING BAY: 4 Tree Sparrows at Ballysallagh / Springfield. ARDMORE / RAM HEAD: 3+ Blackcaps. HELVICK HEAD: Garden Warbler (video), female Redstart (video), 7 Spotted Flycatchers, 6+ Blackcaps, 6+ Whitethroats & 5+ Sedge Warblers. BROWNSTOWN HEAD: White Wagtail, Sedge Warbler, 2 Whitethroats& 2 Blackcaps. Nr BALLYMACAW: 2 Tree Sparrows. KILBARRY BOG: Reed Warbler singing, 14 Sedge Warblers & Water Rail. BROWNSTOWN HEAD: 65 Whimbrel, Grasshopper Warbler, Sedge Warbler, 4 Blackcaps & 5+ Whitethroats. 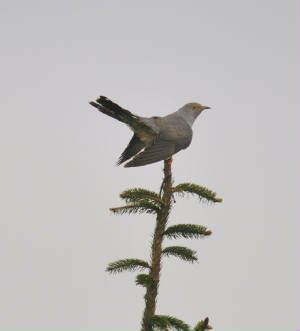 MONAVULLAGH MOUNTAINS: Cuckoo & pair of Woodcock, Ballintlea / Glendalligan. CLONEA STRAND: Several skeins of Brent Geese flying E (high), 25+ Whimbrel. BLACKWATER VALLEY: Reed Warbler singing at Raheen quay, Clashmore. BROWNSTOWN HEAD: 18 Wheatears, 3 Blackcaps & 6 Whitethroats. BUNMAHON: Tree Sparrow & 20+ Whimbrel. 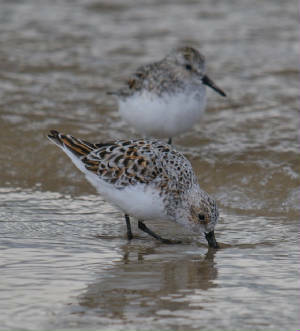 KNOCKADERRY RSESERVOIR: 2 Common Sandpipers. CLONEA STRAND: 2 Great Northern Divers & 2 Whimbrel. SEAFIELD: HOBBY & 1st/2nd-winter Iceland Gull. 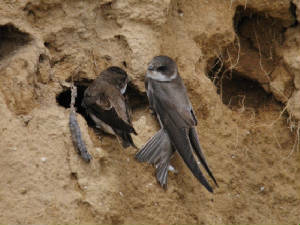 WATERFORD CITY: Swifts at IDA park, Cork road (2) and Ballybricken (1). 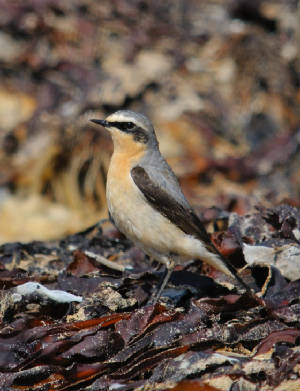 DUNGARVAN: 20+ Wheatears on the Cunnigar. WATERFORD CITY: 'SIBERIAN' CHIFFCHAFF singing at IDA park on Cork road. HELVICK HEAD: 2 Spotted Flycatchers (1st of year). CARRIGNAGOUR / MONEYGORM: Sedge Warbler & Whitethroat. 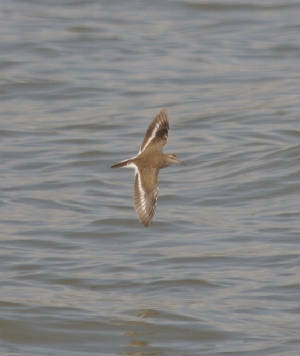 ARDMORE: Common Sandpiper, 27 Whimbrel & 7 Wheatears at Curragh strand. 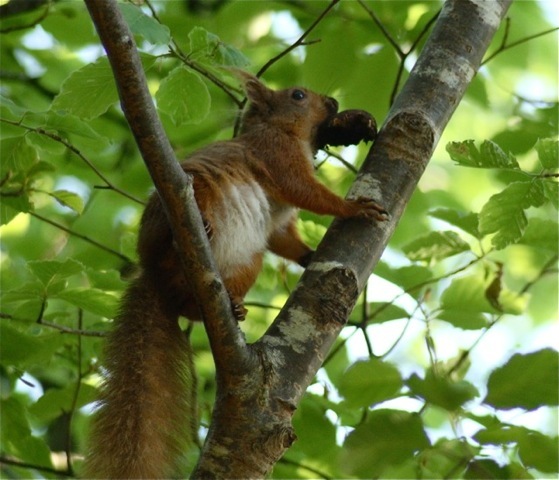 COMERAGH MOUNTAINS: Red Squirrel (Crough forest) & Dipper nr Mahon Falls. 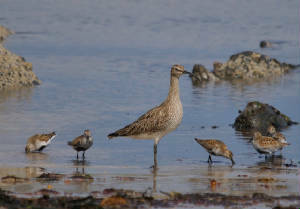 TRAMORE BACKSTRAND: 150+ Whimbrel at Clohernagh. 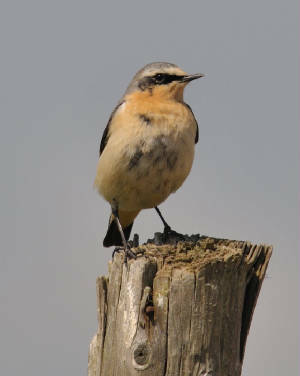 BROWNSTOWN HEAD: 19 Wheatears, Whitethroat & 2 Blackcaps, also an unidentified redstart species. HELVICK HEAD: Sedge Warbler & 2 Blackcaps. BALLYVOYLE: Common Sandpiper, 2 Swifts, 3 Wheatears & 2 Blackcaps. 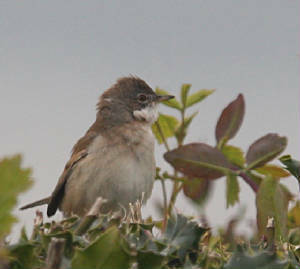 BROWNSTOWN HEAD: Whitethroat & c10 Willow Warblers.